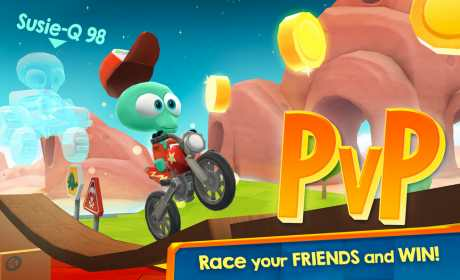 In this fun game for Android you’ll be able to drive a motorcycle or SUV. Funny aliens are driving the vehicle along the race track with ramps, suspension bridges, deep chasm, exploding barrels, and other obstacles. 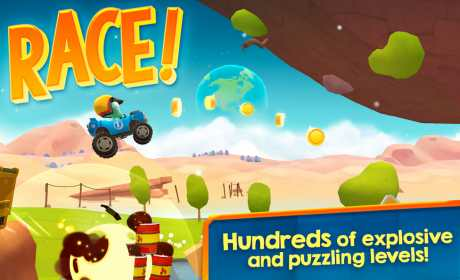 Join the crazy aliens to explore humanity’s favourite pastime, racing! 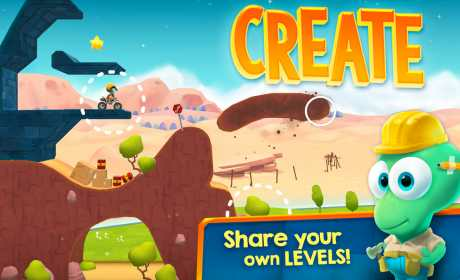 Get blown up, crushed and zapped in mad racing challenges, or create action-packed levels to share with the world. Win trophies in Versus Races & upgrade your awesome rides to the max.